Holistic fixed single showerhead perc. black accent. Slim mouthpiece. Bubbler. 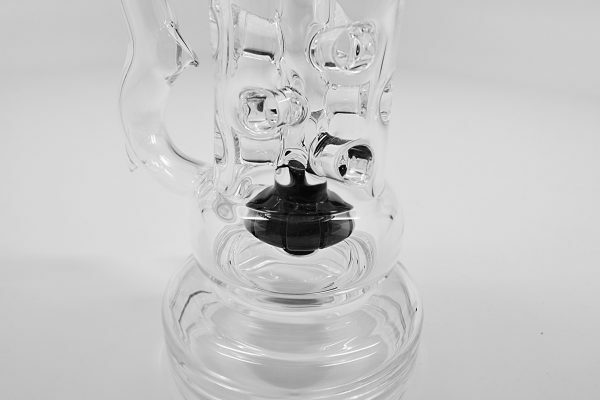 Is that a beer mug or a waterpipe? 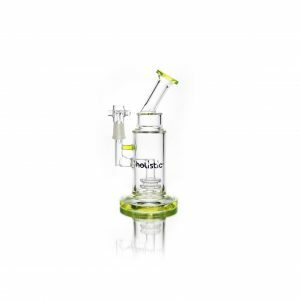 This bubbler with Double showerhead perc & straw mouthpiece was designed after an old fashioned beer mug, sits at over 9 inches tall from base to the end of it’s “straw.” With a double showerhead opening at the bottom, this water pipe’s perc runs from the bottom through the top, giving a cool, clean hit every time. 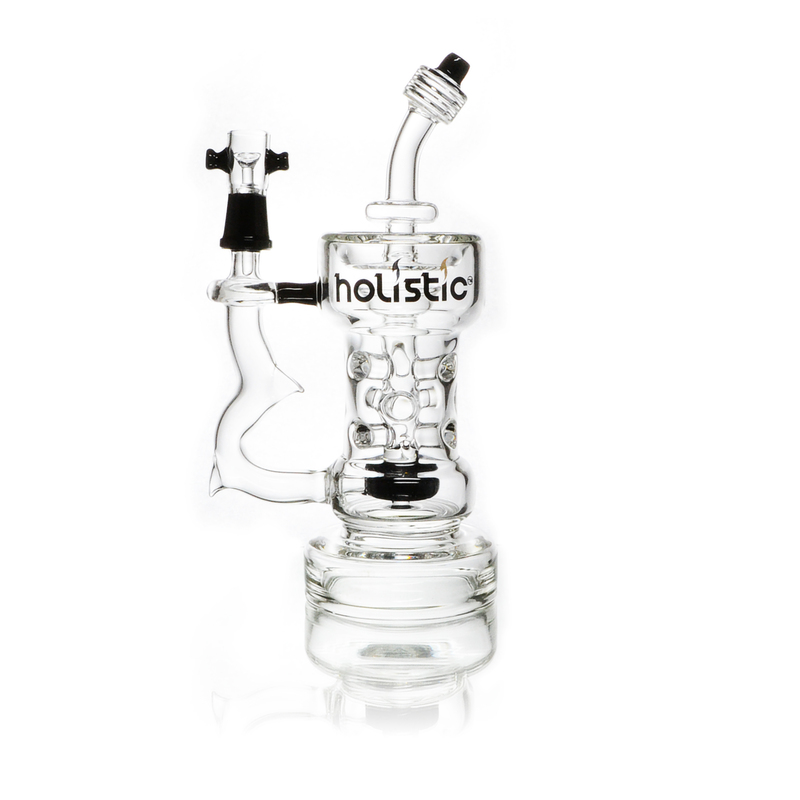 The tradition of performance, form, and function you’ve come to expect out of us at Holistic lives on in this unique bubbler. It is everything you need in an oil rig while looking nothing like any other oil rig you’ve seen. 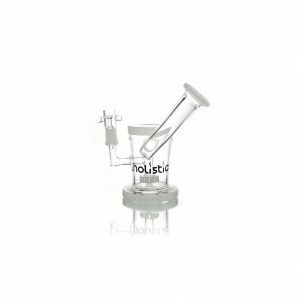 It stands at almost 9 and a half inches inches tall from raised base to the top of the straw mouthpiece. 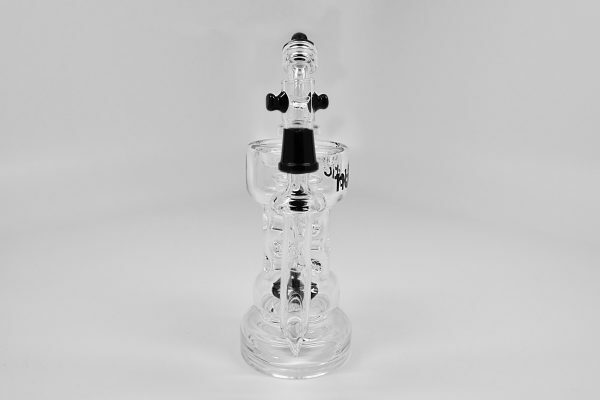 With black accents throughout, its double showerhead cleans and cools even the darkest smoke. 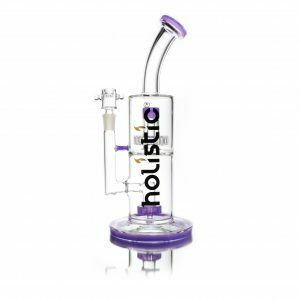 The double showerhead perc is also fixed to the base of the pipe, adding to the durability of the pipe.The bent mouthpiece and elongated perc chamber allow you to play with the water levels, without risking any splash up. It is also available in Slyme Green. 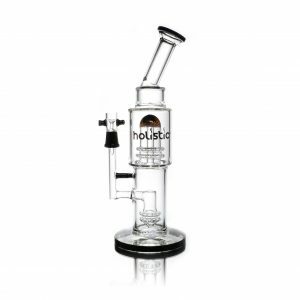 7.7″ Holistic Fixed Double Showerhead Perc. Bent Mouthpiece. Slyme.